The Volkswagen Jetta is a great choice for Fairfax drivers thanks to its sleek and aerodynamic style combined with convenient features. Why not try it for yourself! Explore our range of used models to find the Volkswagen Jetta that meets your needs. 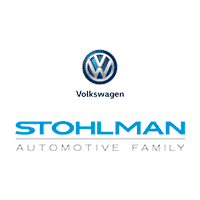 When you’re ready to get into a used Volkswagen Jetta of your own, be sure to visit us at Stohlman Volkswagen. Our staff is standing by to help you find the right model for you and your budget. After you’ve found your next model, speak with our finance team to learn more about your payment or Volkswagen Jetta lease options. In the meantime, if you have any questions or you want to learn more about the Jetta, contact us today! We’ll get you the answers you need and help you drive off the lot in the new-to-you model that you’ve been eyeing.